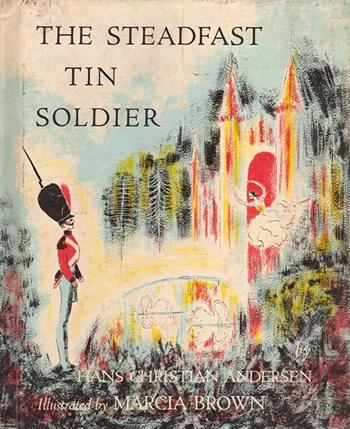 Hans Christian Andersen : Chiron and "The Steadfast Tin Soldier"
"The Steadfast Tin Soldier" has been my most favorite Andersen's piece since when I was a child. 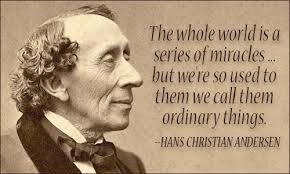 Hans Christian Andersen was born in Denmark on 02 April 1805 at the beginning of the nineteenth century. In this year, Saturn conjoined with Uranus in Libra and they both were square to Chiron in Capricorn. I basically think each planetary god represents our archetypal force in psyche, so to speak, our different elements in the inner world, so I would like to think about the nature of Cronus and Uranus in Greek myth in the first place. 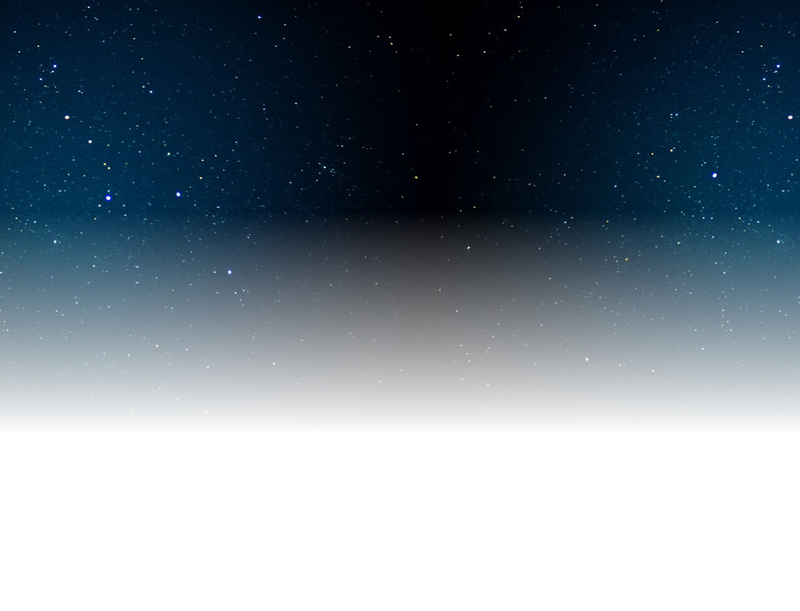 It is said that Cronus, which corresponds to Saturn, rules time. Firstly, time reminds me of aging. We all have to live within the limitation of life span and nobody can escape from the fact. Secondly, it may suggest a certain period of growth. Once we plant seeds, we need to cultivate them cautiously until the time of harvest. None of us can accelerate the process and then, we see the outcome of what we have been doing. In this sense, we can not make things happen without his help. On the contrary, since Uranus is the sky god, it is impossible for him to settle down on the ground. Imagine we saw the landscape from an airplane window, how would we feel? This may give us an incredible feeling of release and liberty though it is a bit frightening. I suppose Uranian energy is like a bolt of lightning. When we react to transiting Uranus, all of sudden, we awake from convention and catch a glimpse of the vision of limitless possibility. 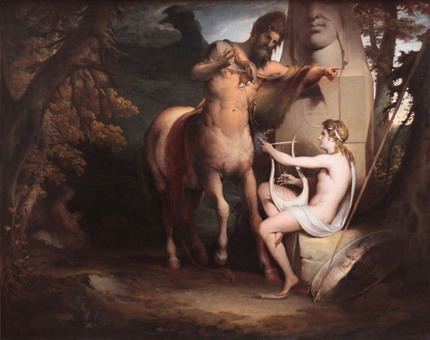 Although Uranus was Cronus' father, they were hostile to each other in myth. There seems to be the tension of power struggle between them, so what happens if Cronus meets Uranus, when they are in conjunction in the sky? As we know, Cronus castrated his father, Uranus, and exiled him. Afterwards, he was scared of being thrown over by his own children, so he swallowed them up. It seems to me that the story describes our instinctive drive to keep holding everything we have already established and a battle between something new and old. On the other hand, it may have tremendous potentials to bring a flash of vision into this three dimensional world. Something we have never seen before could be incarnated. Paradoxically, I believe that we can not manifest the vision without Cronus' support. In this sense, we need to be truthful about what should be cleaned up and what should be kept. Furthermore, if the battle field was Libra ruled by Aphrodite, what would happen? In 1805, Saturn-Uranus conjunction took place in Libra. This means that they bumped into each other in Aphrodite's salon filled with roses and music. The beginning of the nineteenth century was the dawn of Romanticism. An art book says that the Romantics believed the individual was the engine- force of history and progress. The ideal was authentic individual expression of experiences and they rejected the authority of art academies. Interestingly, Romanticism emerged after the discovery of Uranus, the planet we see as the symbol of freedom, equality and fraternity, in 1871 and the French Revolution in 1789. Although not everyone is an astronomer, we may unconsciously feel the presence of the planetary god discovered in the sky. The sky gods and the mortal always resonate to each other. I wonder if people have got an electric shock and tried to express their inspiration beyond the rule-bound. In fact, a lot of impressive and expressive works were produced in the field of music and paintings. I suppose this was the seed buried in the collective psyche when Hans Christian Andersen was born. In other words, this was his blue print. "There were once Five and – twenty tin soldiers : they were all brothers, but only one was slightly different ; he had but one leg"
The Tin Soldier came into this world as a lamb and an outsider. He fell in love with a dancer who was standing on a table in the same room where he was in. Then his long journey began. "He was just as steadfast on his one leg and his eyes never left her for a moment. …….The window suddenly flew open and the soldier went heading out from the third floor with a terrible speed. …..Now, it started to rain ; the drops fell thick and fast. It turned into a regular downpour….. and now he sailed down the gutter. But he was just as steadfast, didn't bat an eyelash, looked straight ahead, and shouldered his gun. ……"I wonder where I'm going now," he thought……He could hear a roaring sound that was enough to frighten a brave man. Just think, where the gutter plank ended, the gutter poured right out into a big canal! Fare forth! Fare forth, warrior! ……The tin soldier plunged through, but at the same moment he was gobbled by a big fish. My, how dark it was in there! It was even worse than under the gutter plunk. ……At last it was quite still. It was as if a flash of lightning had streaked through it. The light was shining quite brightly and someone shouted : "A tin soldier!" ……The fish had been caught, taken to a market, and sold, and had ended up in the kitchen, where the maid had cut it open with a big knife. With two fingers she picked up by the middle and carried him into the parlor. …….My what strange things can happen in this world! The tin soldier was in the very same room he had been in before! He saw the very same children and playthings standing on the table, and lovely castle with the beautiful little dancer. ……He looked at her and she looked at him, but they didn't say anything. At the same moment one of the little boys took the tin soldier and threw him right into the tiled stove without giving any reason for doing so. The tin soldier stood all aglow and felt the terrible heat, but whether it was from the real fire or from love, he didn't know. His colors were all gone, but whether that had happened on the journey or from sorrow, no one could tell. ……Then a door opened, the wind took the dancer, and like a sylphid she flew right into the tiled stove to the tin soldier, blazed up, and was gone. ……When the maid took out the ashes next day, she found him in the shape of a little tin heart. Of the dancer, on the other hand, only the spangle was left, and that was burned as black as coal." I used to read this story in bed when I was nine or ten and it made me feel so depressed. "The tin soldier hasn't done anything wrong! Who is to blame for these accidents, the wind, the fish or the boy?" I was puzzled by the irrationality, so each time I decided not to read the book any more. However, after a few days or a few weeks, I could not help reading it again. Actually, the story had a magnetic power to attract me. This was so sad, unfair and fragile, yet profoundly beautiful. I think the story had a tremendous healing effect on me. Something in my inner world was consoled and now, this particular childhood memory leads me to the image of Chiron. Once again, I would like to contemplate Chiron's nature in Greek myth. Chiron represents two significant characteristics. First, he was a half- god and a half-mortal, a half human and a half-beast. In other words, he was not a god, neither was he a mortal. He was not a human, neither was he a beast. This could cause an isolated feeling of being as an outsider. Then, he was accidentally shot by Heracles with a poisoned arrow. Although he was a gifted healer, he could not cure his own wound. Death was the only solution for him to be released from the pain. In this sense, I personally think Chiron does not give us any specific prescriptions. He is not a pharmacist. It seems to me that he teaches us how to cope with irrational, incurable damages rather than how to get special remedies. Hans Christian Andersen had Chiron next to the North Node in Capricorn, the 1st house. Also Chiron is square to Saturn-Uranus conjunction in Libra, close to MC in the 9th house. In addition, they shape T-cross with the Sun in Aries, the 3rd house. If one has Chiron and the North Node in Capricorn in the 1st house, how does he perceive the world where he lives in? In fact, there are many people who identify themselves as a black sheep in family or an outsider of society. Moreover, the possibilities of the individual can be suppressed by authoritarianism and social upheaval. He might have seen such collective wounds as his own. The pain was not something out there. This was his. An encyclopedia says that Andersen displayed great imagination and intelligence in his childhood. He had passionate love for literature and made himself a small toy-theatre at home. In 1816, when he was eleven, his father died in a fire. Later he worked in a cigarette factory where he was humiliated by his fellow workers. At the age of fourteen, he moved to Copenhagen seeking employment as an actor. He had a pleasant voice and succeeded in being admitted to the Royal Danish Theatre. However, this career stopped short when his voice broke. A colleague had referred to him as a poet, and Andersen took this seriously and began to concentrate on writing. I get the impression that some of his works, such as "Ugly Duckling" and "Little Mermaid", are highly colored by the sense of a rejected outsider. Especially, the Tin Soldier was born as a lamb. He had nothing to do, but surrender. For example, how can we bring a dead father into life? How can we regain our voice when it broke? We have nothing to do, but surrender, otherwise life will be destroyed by an enormous amount of rage. Besides, when we can not identify a specific culprit, our furious feeling will become double as Dr. Liz Greene said so in "Barriers and Baundaries". When I think of Chiron, the image always leads me to Neptune. Some say that Chiron rules Virgo. If he does, Chiron must have a lot to learn from Neptune which rules Pisces, the opposite sign of Virgo. I suppose the opposite signs are the reversed sides of a coin. They look completely different from each other, but yet they have to deal with the same theme from the opposite angles. Virgo's diligence to develop a specific kind of sill can not be sustained without Neptunian sacrificial element, devoting oneself to something greater and sacred, otherwise the effort becomes meaningless. Then Virgo has to constantly run about for everyday's chores and to criticize others. Furthermore, it is said that Neptune is a higher octave of Jupiter, and Jupiter is a higher octave of Venus. How can I put all these things together? Last year, when I visited Brugge, I was amazed at the beauty of the lovely old town. My eyes were glued to elaborate lace-handkerchiefs and fancy chocolate in the show windows. The town was filled with tourists, yet churches were owe-inspiring. They were not commercialized. Since I knew nothing about the history, I bought a book. It said that Brugge was in all its glory in the fifteenth century during the Renaissance. However, the golden age was over at the end of the century and people were compelled to endure poverty for four hundred years. The Industrial Revolution didn't bring them any fortune. They could not afford constructing factories, so the town was completely left behind the times. As a result, Brugge remains its enchantment as it was. The town began to regain prosperity from the end of the nineteenth century due to tourism. All of a sudden, the history made me realize the spiritual evolution from Venus to Jupiter and from Jupiter to Neptune. The realm of Venus, the experience of joy on a personal level, such as handcrafts and cooking, leads us to impersonal, social wealth symbolized by Jupiter. Nevertheless, life is utterly unfair. In spite of our goodwill and efforts, we sometimes have to endure the days of adversity. It seems to me that Jupiter needs to accept irrationality for a bigger capacity described by Neptune. If we long to reach Neptune, profound compassion and the release from all kinds of mortal sufferings, perhaps we should begin with Venus, something glittering in the heart which fills us with content and lastly, Neptune helps Chiron to stay with unbearable, incurable damages. No matter the reality is harsh, we have to keep moving on. 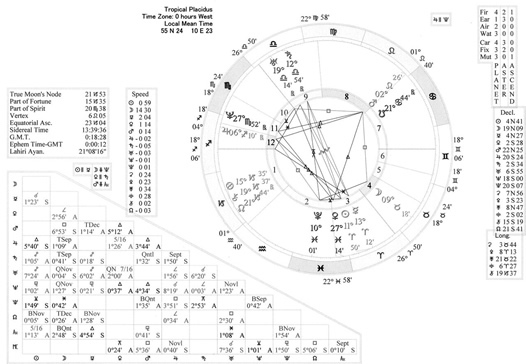 In Andersen's chart, Venus is in Pisces, the 3rd house, trine to Neptune in Sagittarius, the 11th. In addition, Neptune is right behind Jupiter in Sagittarius, the 12th. They all look being knitted together. His Venus may have served Neptune and Jupiter faithfully. At the same time, they all conveyed their messages to Chiron in the 1st house. Also Chiron must have regarded Saturn-Uranus conjunction, the authentic individual expression of experiences, as his own vocation. They all were integrated into the Sun, the Self which navigates the voyage of life. Then, it seems that Andersen concentrated on his genuine lifework, writing. When he lost his father at the age of eleven, transiting Chiron was right on his natal Pluto (Pisces, the 2nd house) and sextile to the natal Moon (Taurus, the 4th house). He may have been thrown into the deeper and darker psyche though he was too young to digest the experience. Remarkably, Andersen wrote" The Tin Soldier" right after Saturn's transit to MC. He must have crystallized his own definition of achievement. At that time, Chiron was passing by Descendant, this is to say, just poking out of the horizon after a long inner journey. I get the impression that he tried to digest all the bitter experience in his childhood, to see it as meaningful as possible, to extract the essence and finally, transmuted it into the Tin Soldier's journey. I feel as if his Chiron was reborn as the little Tin Soldier. To put it another way, he showed his own Chiron to the public, shared sorrow and compassion with the collective. 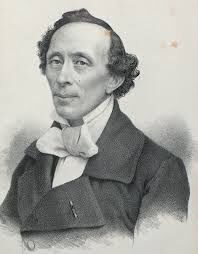 On 04 August 1875, Andersen passed away. Shortly before his death, he had consulted a composer about the music for his funeral, saying "Most of the people who will walk after me will be children, so make the beat keep time with little steps." At the time of his death, transiting Chiron was exactly on his IC, the place we see as the root where we came from and return after death. When Chiron sank into the bottom of psyche, he went back home peacefully. From my view point, no one can predict the time of one's death. However, the horoscope gives us a clue to think about the meaning of his legacy, what he spoke to us and left for us. Nothing brilliant had happened to the Tin Soldier and eventually, he was tossed into the tiled stove without being given any reason. Was he too powerless? Was he just useless? Was he healed or not? Nowadays, we often come across the word, "healing" in magazines and on TV. What does healing mean? I think we have a tendency to find out the logical reason for all sorts of tragedy which deprives us of something healthy. Some of us blame their illness on food, whereas others keep complaining about the society. Unfortunately, no matter we prevent anything hazardous, they do exist in this world. We were born as a lamb or we are just tossed into unexpected misery physically or psychologically without being given any reason in some cases. Logic doesn't work for Chiron. Nevertheless, I still think that salvation occurs, but on a much, much deeper level. Even if we are not healed physically, something will happen as long as we seek something radiant in psyche. Chiron suggests how to surrender for the greater purpose, so to speak, the will of the gods and how to develop sympathy. The Tin Soldier seems to be an incarnation of Chiron, a great consolation to the soul and a little tin heart will be surely left as a token of life, I do believe.